The Songkran festival marks the beginning of the Thai New Year, and like most cultures the world over, the celebration is marked with a feast of traditional dishes. Chef Sanya from The Royal Budha restaurant has a special Songkran gift for us. He has agreed to share his award-winning Chili Prawns recipe! 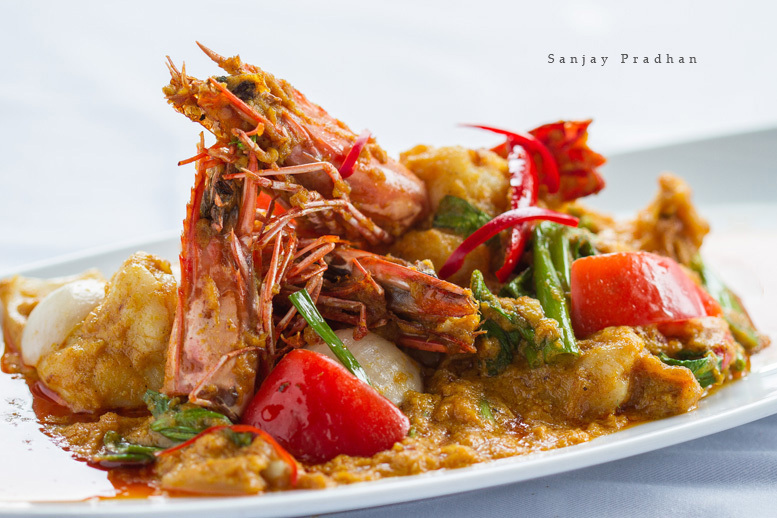 Chef sanyaThe Royal Budha’s Wok Fried Chili Prawns is one of the restaurant’s signature dishes. The dish is a play of authentic Thai flavors married in with chili oil and turmeric. Try Chef Sanya’s recipe in your own kitchen, and invite a taste of Thailand to your table! Marinate the prawns in tapioca flour and pepper. Deep-fry the prawns in oil on low heat. Set aside. Add garlic to a wok of oil, and stir-fry for a minute or so. Add the prawns and all the other vegetables, and stir-fry for 2 to 3 minutes. Add cooking cream, egg and the remaining ingredients. Add chicken stock and cook for 2 minutes. Garnish with coriander leaves, a drizzle of Thai chili oil and sprinkle over a few chopped Thai chilies. Chef Sanya Waengdongbang is a Thai national, and has been one of the key players behind the creation of The Royal Budha, Dubai’s award-winning Thai restaurant located in Holiday Inn, Al Barsha. Read more about Chef Sanya on the restaurant’s website.